Figuring out the kratom half life & duration of effects is an important part of any herbal remedy routine. Learning about what to expect from your kratom session will help you get the most out of it. How long does kratom last in the body? 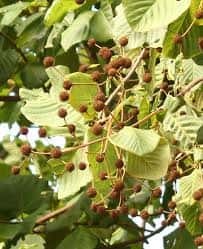 Even though kratom has been used as a very popular folk medicine for as many as thousands of years, we still don’t know everything about how it works. However, as use becomes more widespread in the modern era, new research is helping us understand exactly how the leaves of the famous Mitragyna Speciosa tree interact with our bodies. Here are the facts we have about how long the compounds within kratom stay active, and how that reflects upon the effects we feel when using them. Kratom leaves are rich in a naturally occurring set of compounds called alkaloids. These plant-based substances bind to the receptors in our cells when we ingest them, leading to powerful mind and body effects. When we talk about the kratom half life of effects, we’re really looking at how long these alkaloids stay active in the body. The main alkaloid that we know about in kratom, mitragynine, is known to have a half-life of about 3.5 hours. The other prominent alkaloid that is often the focus of new research into kratom’s psychoactive effects, 7-hydroxy-mitragynine, has a half-life of 2.5 hours. That means the average plant stays active within the body for at least 5-7 hours. There are, however, a long list of supporting alkaloids that also play into the overall half life of kratom. Other compounds, including 9-hydroxycorynantheidine, 7-ethanoylmitragynine, mitraphyline, corynantheidine, have both longer and shorter half-lives than the “star” alkaloids, some of which can be felt and some of which are not apparent to the user. While the subjective effects of kratom seem to last around 4-5 hours, the health benefits that are occurring behind the scenes, also known as the anti-adrenergic effects, could be lasting for as long as 10 hours or more. For the more casual kratom enthusiast, a list of alkaloid names is not as useful as the more practical terms we often find on product packaging. The key to predicting the duration of its effects is understanding the main strains of product. The color of the original plant’s leaves themselves tell us all we need to know. Red strains – The varieties are well known as the most relaxing and sedative of all kratom strains. Effects tend to have a slower-paced onset and last longer. Most red vein sessions are said to last in the neighborhood of 5 hours, though times of as long as 10 hours have been reported. White Strains – White vein kratom is the most high energy option. Effects are noted to come on quickly and intensely, delivering powerfully energetic effects. However, the trade-off for that intensity is often a slightly shorter duration of effects, in the 3-5 hour range. This shorter timeline is sometimes preferable for people who only have a portion of a day to devote to the experience. Green Strains – These are among the most powerful. Effects are strong, high energy, and also long lasting. When dosed properly, some variants, like the famously strong Maeng Da, have been known to last for 8 hours of more. Even when you aren’t consciously aware of kratom’s effects in the body, it is still at work for hours behind the scenes, delivering health benefits that are serving you in subtle and long term ways, like lowering blood pressure, or fighting free radical cell damage. Do Extracts Have A Longer Kratom Half Life? An extract is a highly concentrated form of kratom leaves that have been boiled down into a dense resin and then crushed. These special powders are known to be extremely potent in small doses. Taken on their own, they seem to provide kratom experiences for the user that are very intense but not particularly longer in duration than normal powders. 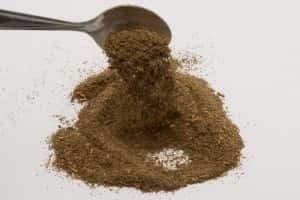 However, products known as “Enhanced” – which are a blend of extract plus traditional kratom powder, have been reported to be the longest lasting of all. These enhanced powders, like this Ultra Enhanced Indo are so super-charged that users have frequently experienced effects that lasted up to 10 hours. If you’re looking to extend Kratom’s half life in your own routine, be sure to follow dosage guidelines and avoid building tolerances. You can do this by alternating the types of products you use frequently, and not taking kratom capsules more than a couple times a week. Everyone’s body chemistry is different, so experiment with strains, as well as with other factors like time of day, diet, etc. Over time, you’ll figure out which combinations provide the longest and most enjoyable experience for you.